It is an exciting time to be a potential Maruti Suzuki buyer as it is on a roll to introduce new models. One of the cars that we are excited for is the new Ignis compact hatchback. It will be a new premium product and the third to don the Nexa badging. Ahead of the launch here is a little background on how the Ignis built up its name. 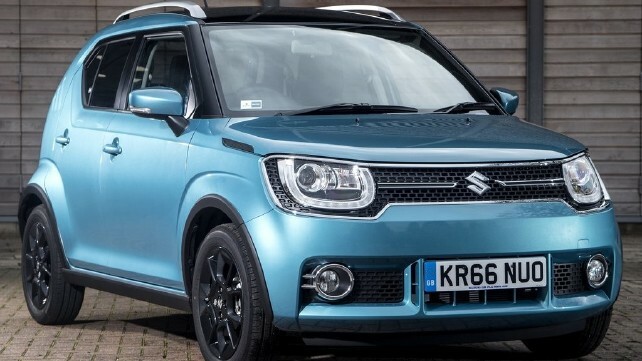 Firstly, the name Ignis has been derived from the Latin word for fire and that alone should be a quite a thing to attract a younger buyer group that Suzuki has aimed with this new car. Secondly, the Japanese automaker has been on a path to revive old monikers like Baleno and the Ignis. This makes sense as these names will invoke aspiration to new buyers who have seen models in their former glory and at that time possibly had dreams to buy the same car. Our story begins with the Suzuki Cultus which if you look at the pictures will tell you that it is none other than the Maruti Suzuki Esteem which was sold in India from 1993-2006. This model has a cult (pun intended) in India and is still quite popular to date among collectors. It was also sold as the Swift in many global markets. Suzuki retired the Cultus badge in 2000 and then turned the model lineup into a Kei car. For the uninitiated, these are regulations set by the Japanese government to regulate the dimensions and engine size so as to make the car have a minimalistic footprint in space starved Japan. The result of this is subcompact hatchbacks with 660cc engines having AWD! This Kei car became the forerunner for the Ignis, setting in motion a number of things we see on the current car. This includes the high stance, roofline and UV(ish design). It was offered with both petrol and diesel engines and even had a sport badged version that came with a fancy 115bhp petrol engine. A facelifted version was brought out in 2003 which made the pseudo SUV lines even more prominent. The model was finally discontinued in 2008 putting an end to a design generation that included the poorly received Zen Estilo. After a gap of nearly six years, Suzuki decided to bring back the Ignis badge. The process began with the iM-4 concept that it showcased at the 2015 Geneva Motor Show. This was a high riding compact vehicle with funky crossover (the millennial term for SUVs) lines. Sound familiar doesn’t it?